I feel like Christmas has always been a big deal, but has it always been THIS BIG OF A DEAL? Maybe it’s the Instagram effect—I just feel like everyone is decorating for the holiday earlier and earlier, and there are now more pop-ups and bars devoted to all things St. Nick. Heck, Lala’s Little Nugget even banked on its holiday decorations for decades! Nevertheless, I’m determined to not feel like a lousy grinch, which is why I high-tailed it to Miracle on 5TH Street Thanksgiving weekend, which is returning this year after a successful first run last season. Fun fact: Thanksgiving weekend is ALWAYS dead in Austin, so it’s the perfect time to visit any place you’ve been dying to check out. 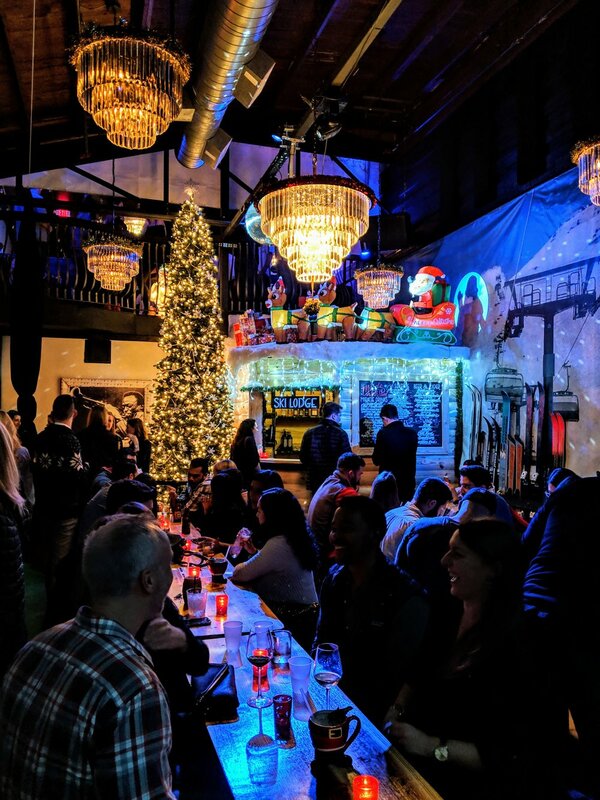 Running until December 29, Miracle on 5TH Street is basically an explosion of Christmas cheer. 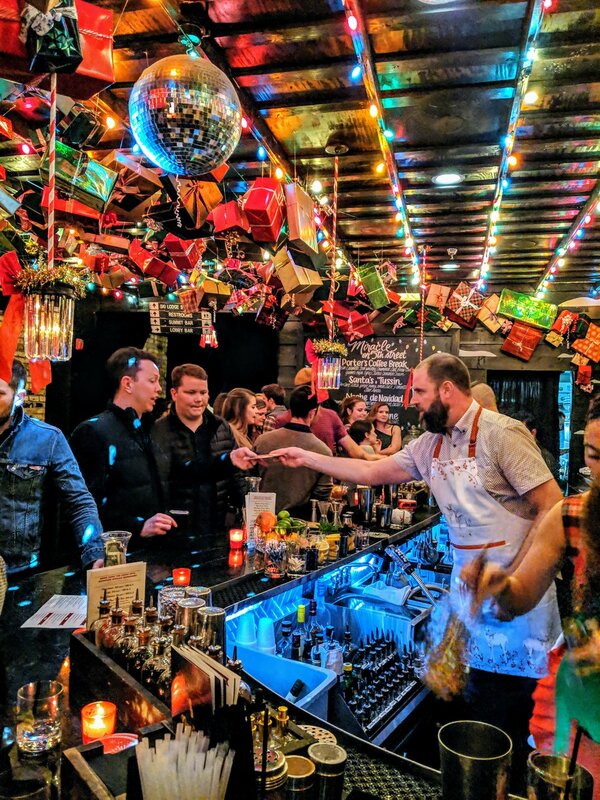 This year they’ve gone even bigger and better at the Eleanor space (which I fondly remember from it’s Whiskey Bar days—sheesh, I’m old!). The front has a festive tree and reindeer lights with the ceiling completely decked out with presents. Walk through, and you’ll find yourself in a snowy ski lodge (with an even bigger tree!) and a Santa throne. Then, pass through the Christmas lights hallway and head upstairs to an snowy winter wonderland. 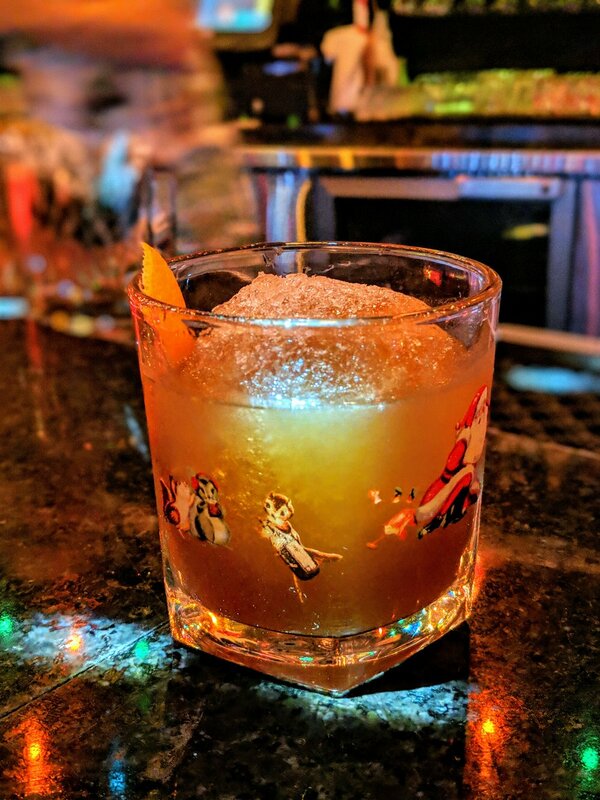 I ordered two very different cocktails and sipped a bunch others, and my favorites were the Snowball Old Fashioned (which is a perfectly round ball of ice!) and the Gingerbread Flip, a totally sweet treat without being cloying. If you’re just looking for the most over-the-top barware, order the Yippee Kay Yay, which comes in a tiki santa glass. Oh, and y’all, don’t steal the glasses! Last year they apparently had such a hard time keeping stocked that they are checking bags at the door. But, never fear! Miracle-branded glassware from Cocktail Kingdom is available to purchase, and 10 percent of all sales will be donated to Action Against Hunger. 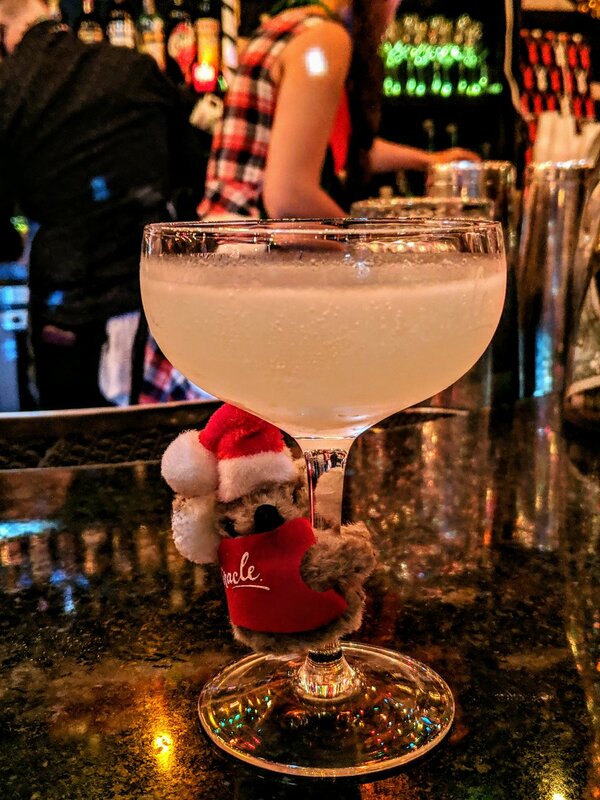 Reminder, the bar is open now through December 29 and is subject to capacity and buyouts, so have yourself a merry little Christmas, y’all!